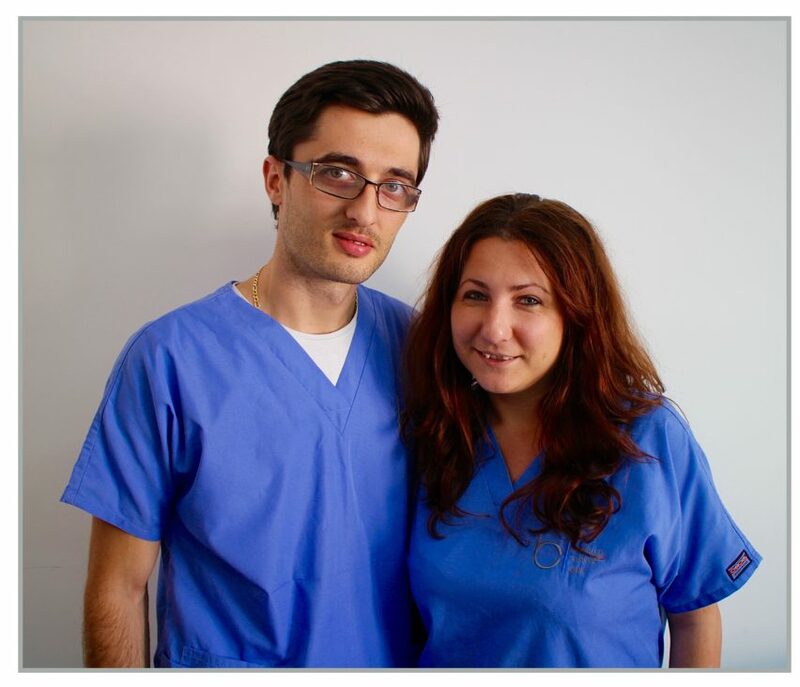 Brighton Implant Clinic has welcomed two new talented dental technicians, Mr Stelian Bucur and Ms Iulia Gabriela Vlas. Mr Bucur and Ms Iulia are both experienced dental technicians, who both graduated from the University of medicine and pharmacy in Targu Mures, Romania. With a growing skill set, the pair work in advanced design applications known as Dental CAD-CAM creating and manufacturing dental implant restorations. Mr Bucur wanted to join Brighton Dental Labs because of “their reputation for continuous development.” Mr Bucur, being a member of the national association of dental laboratories (NADL) is an advocate for connecting, sharing and staying up to date with the latest in his profession. This echoes Dr Silva’s ethos in not only his laboratories but also his clinics.Ms. Iulia with an interest in dental implants wanted to join the company after researching about the award-winning clinic's expertise in dental implant treatment and their reputation with dealing with complex cases. Brighton Dental labs use the latest in dental prosthetic materials and state of the art technology, such as computer-aided manufacturing and computer-aided design. In 2009 Dr. Silva founded the Brighton Implant Clinic in Hove, where he wanted to create his own advanced facilities including his own dental laboratory. Dr. Silva believes that the manufacturing of dental prosthesis is as important as dental procedures and or techniques. Brighton dental labs are situated on two sites in Hove & Worthing, East Sussex. These laboratories work independently as well as alongside Dr. Silva’s four clinics in the South East of England. The Brighton Implant Clinic was established in 2009, Hove, East Sussex. The award – winning clinic now spans over four sites in Hove, Brighton, Worthing, and Hailsham. Founder and principal dentist Dr. Bruno Silva has created a clinic with state of the art facilities and equipment including its own dental laboratory. We provide personalised and affordable dental care, including dental implants and cosmetic dentistry solutions, with additional services such as sedative dentistry. Dr. Silva advocates continuous professional development and this is why he has a highly skilled team of dentist, surgeons, and dental nurses. Our welcoming and professional team believe smiling is fundamental, find out how this could change you.